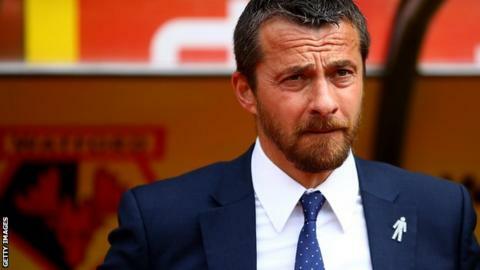 Watford manager Slavisa Jokanovic was unhappy with two decisions made by referee Lee Probert as the Hornets missed out on the Championship title on the final day of the season. Atdhe Nuhiu's stoppage-time strike meant Watford could only manage a draw against Sheffield Wednesday, allowing Bournemouth to take top spot. After his side's 1-1 draw, Jokanovic said: "He made a mistake, we didn't. "He didn't give the penalty and their goal was offside." Probert was the official in charge when Gabriele Angella was sent off inside the first minute of Watford's 2-0 defeat by Bournemouth in January - a decision that was later overturned by the Football League. Jokanovic added that he could not understand the referee's explanations as to why Troy Deeney was denied a penalty in the first half, or why Wednesday players were not flagged offside from the free-kick that the visitors eventually scored from. "One guy played with so many people's emotions in this stadium and it is not acceptable," the Serb said. "They explained to me that Troy was running in the opposite direction of the goal. I probably do not understand the rules but that is a joke. "They delivered the free-kick, their players tried to intervene and touch the ball. If I know the rules then that is offside, but perhaps the rules are different in the Championship. "We made our mistakes in this game in front of their goal but not in front of our goal."